‘Heropanti‘ couple Tiger Shroff and Kriti Sanon is together back the on screen, sporting with an identical tattoo to promote the online fashion portal American Swan. American Swan has launched its latest collection as ORIGINAL, for which they have hired Kriti and Tiger to be the face of womenswear and menswear range, respectively. Thus, they were recently spotted posing together in front of lensman Atul Kasbekar for the exclusive photo shoot, embedded their body with the American Swan logo. 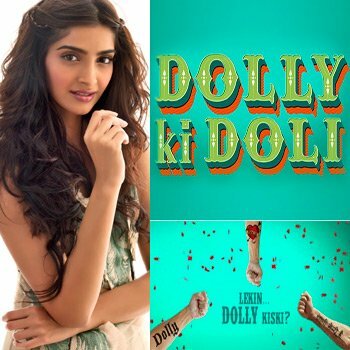 Kriti and Tiger were declared as the hit pair, right after the release of their debut film ‘Heropanti‘. Let’s see, what result they will show on this American portal brand. On the sets of ‘Action Jackson‘, Sonakshi Sinha was supposed to film a scene where she throws atta (flour) on Ajay Devgn‘s face. But accidently it went into his eyes. Still, the actor completed the shot with an irritated eye and then took two days break from the shoot to recover. When he returned after two days, again some atta was put on Ajay’s face and he was made to pose for a click beside Sonakshi and Prabhu Deva. ‘Action Jackson‘ will be hitting the theatres on December 5. Bigg Boss has given a kick start to many careers. 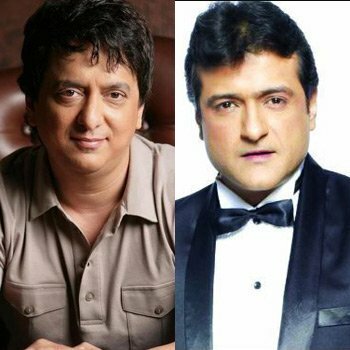 And latest one to get benefitted from the stay is its ex-contestant Armaan Kohli, who has been signed by producer Sajid Nadiadwala for his next two films. Taking a short recap, Armaan’s Bigg Boss stay revealed his short-tempered persona to the audience. He was often seen quarrelling with Kushal Tandon, Kaamiya Punjabi and his alleged girlfriend Tanisha Mukherjee. His mean look and muscular physique represented him as someone who should not be mess with. Thus, Sajid considered his overall personality perfect for the role of a villain in his next two films. We are bound to say that Armaan’s second inning is indeed far better than his first one. Even he agrees to it, giving the special mention to Salman Khan and Sooraj Barjatya for uplifting his career, once again. Actors often go into the depth of their character, but what Adil Hussain recently did make us wonder about the depth. 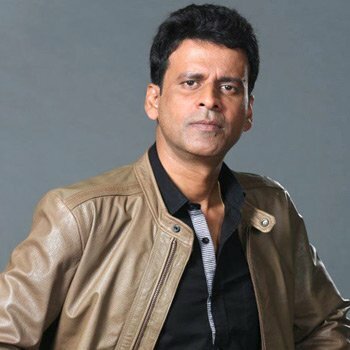 Adil belongs to the respected league of actors who have worked in numerous noteworthy films including the internationally acclaimed film ‘Life of Pi‘. Being down to earth, he didn’t gave it a second thought when he sat out on the road to repair the puncture of tyres to promote his upcoming Friday’s release ‘Zed Plus‘. Sunny Deol was of his client, who visited Adil to get his car’s tyre repair. No doubt, Adil would have efficiently mended it. After all, he has got the full-proof training on the sets of ‘Zed Plus‘, under Dr. Chandraprakash Dwivedi. ‘Zed Plus‘ revolves around a poor man’s life, who is given zed plus security following a chance meeting with India’s PM, thus leading to the hilarious consequences. 2014 have been a fruitful year for Abhishek Bachchan. First of all, his Kabaddi team Jaipur Pink Panthers won the title trophy for him and then his last Diwali release ‘Happy New Year‘ garnered him with the shower of praises for his character role of Nandu. And now by the end of this year, his football team Chennaiyin FC is steadily moving towards the finals of Indian Super League. Amidst of these achievement, one thing which Abhishek truly appreciates is his fans unconditional support. All around the globe, his admirers have been wishing him luck especially from UK, Singapore, France, Philippines, USA and UAE. 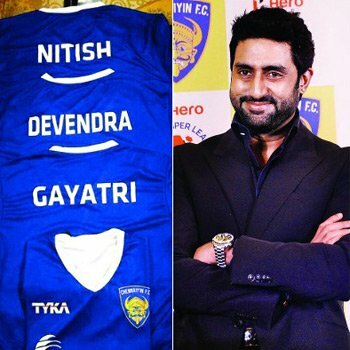 Therefore, he has decided to gift them all a customized jersey of Chennaiyin FC, printed with their names.